« A recently fledged satellite tagged Italian Peregrine Falcon found buried after being shot. 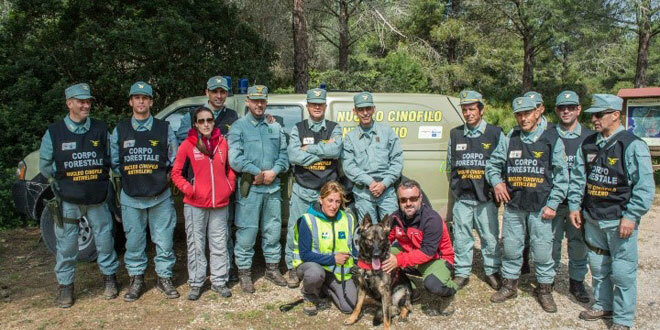 The investigation was carried out with traditional investigative tools – search, testimony and so on – and the efforts of the dog ‘King’ in the detection of baits and poisons. Thanks to the collaboration of the ‘Istituto Zooprofilattico Sperimentale della Sardegna’, who carried out the toxicological analyses on the poisoned animal carcasses and baits, it was possible to identify the poison used, which led the identification of the suspect. reinforce the local wildlife rescue centre by equipping it with the facilities needed for the rehabilitation of large vultures.